Last week I heard news that there was a new set of pressed quarters available at the Disneyland Park in Anaheim California. I have a close friend that moved out there a few years ago and is always waiting for me to reach out with a coin request so he has an easy excuse to visit the park. As it turned out he was already planning on visiting the park with his family and said he would pick up the coins for me. Just yesterday I received a little envelope in the mail with the brand new coins. The machine is located in the Gift Shop for the famous It’s A Small World attraction. There are three designs all pressed on quarters. The designs include: The small world happy face clock, It’s a small world dolls, and the It’s a Small world attraction. A really nice additional feature of most Disneyland coins is that they include a special backstamp. 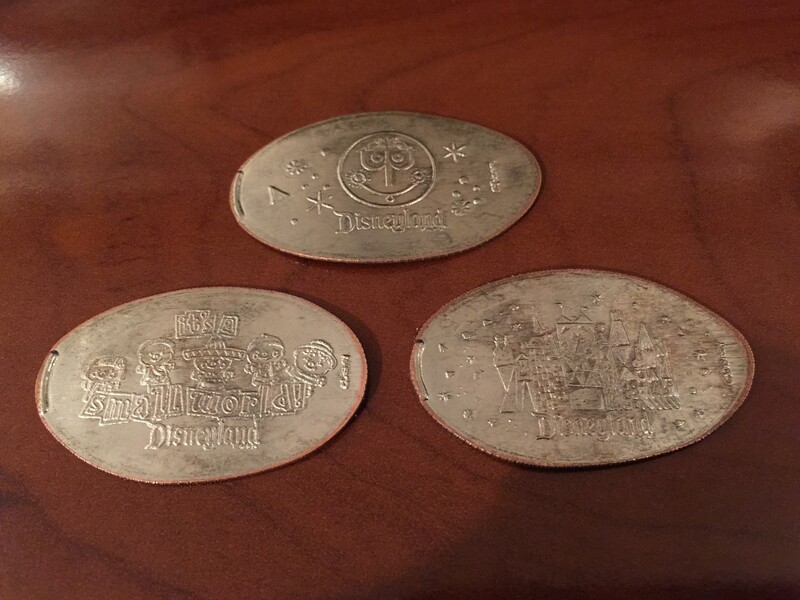 These coins included the Fantasyland logo backstamp on each coin. Another great addition to the collection. I’ll be on the look out for more new designs from Disneyland as they always seem to come in batches so hopefully there are more on the way shortly.